If I could get my hands on the nuclear code right now, I’d be sorely tempted to blow North Korea into oblivion. Is this the saddest thing you can ever imagine: 22-year-old Otto Warmbier lying in what amounts to a persistent vegetative state in a Cincinnati hospital after the North Koreans sentenced him to 15 years of hard labor for a moment of bad judgment and then did something to him to trigger a heart attack or other event that deprived his brain of oxygen? It is unbelievable and as depressing as about anything could be. 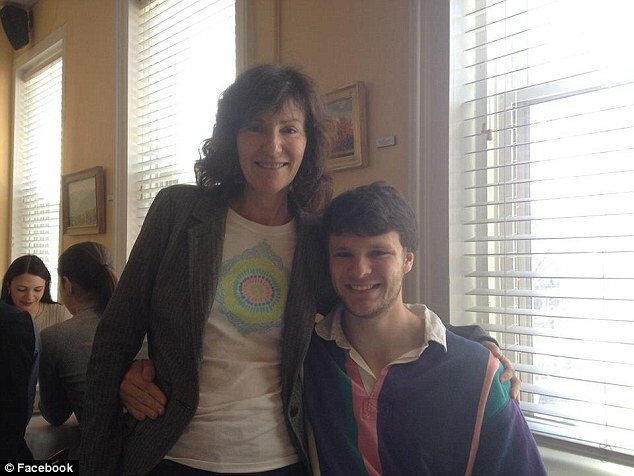 Today, his father, Fred Warmbier, said at a news conference Otto had become “fodder” for the Kim Jong-un regime after being lured into visiting the country by a Chinese travel company that said its customers were never detained while on a tour there. 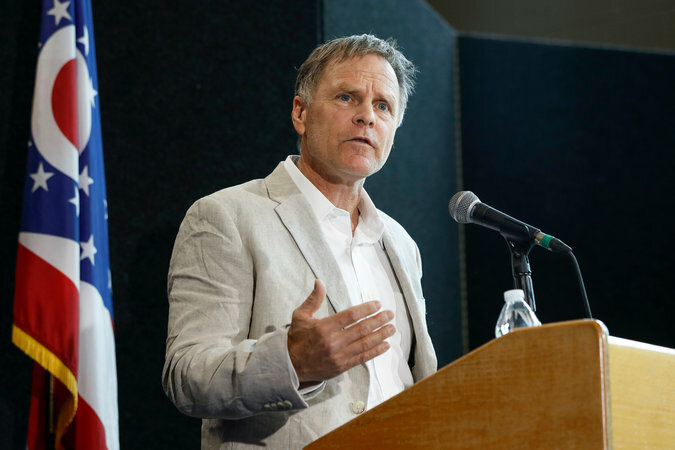 At the news conference, Fred Warmbier wore the light-colored sport coat his son wore in North Korean court appearances. Was bad judgment a factor here? Of course. He was crazy to go to North Korea…If for no other reason, the vast majority of sensible people would not go to North Korea because they’d be following the lead of a notorious nut job, former NBA player Dennis Rodman. Kim Jong-il preceded Kim Jong-un. It is not clear if Otto, when he took the poster, realized that harming items with the name or image of a North Korean leader is considered a serious crime by the regime. On top of his errors of judgment, Otto also caught a terrible break. On Jan. 2, 2016, he was apprehended at the airport just before boarding a flight to come back home. 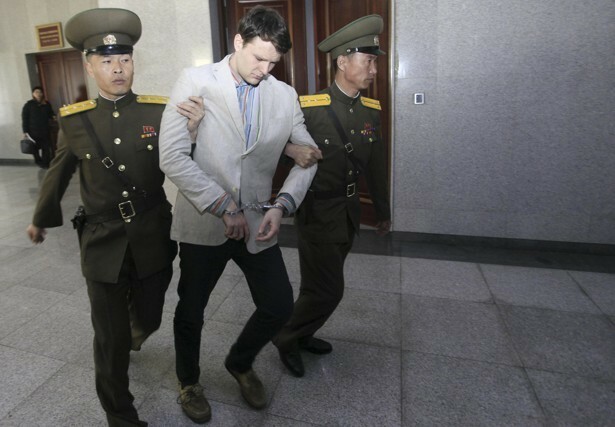 On March 16, 2016, two hours after U.S. envoy Bill Richardson met with two North Korean diplomats from the United Nations office to press for his release, Otto was sentenced. He is believed to have suffered the heart attack, or other life-threatening event, within a month or two after that. For a long time, Otto’s parents followed the Obama administration’s advice to stay quiet so as not to antagonize or offend leaders in North Korea. So much for that strategy. Recently, they began speaking out. The Warmbiers are from a small town about 20 minutes north of Cincinnati called Wyoming. Otto graduated from Wyoming High School in 2013. 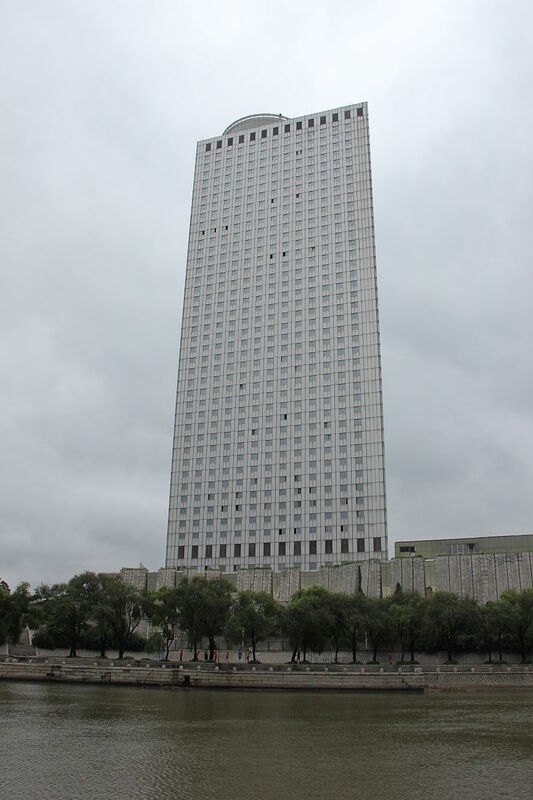 At the time of his trip to North Korea, he was a junior at the University of Virginia, where he was studying for a double major degree in commerce and economics. He has two younger siblings. He does, but just barely…And now we need to spare a lot more than a thought for the Warmbier family. They need all the prayers and empathy we can collectively muster. And that’s not close to enough for that terribly unlucky family. Thanks for (another) good article, Jim. I don’t remember Obama saying a word about this young man. However, I do remember Obama extending great effort to secure the release – in exchange for 5 Taliban illegally – of Bowe Bergdahl, despite his own unit saying he was a deserter. Would Obama have exercised his North Korean “strategic patience” diplomacy if either of his girls was the captive? Provocative question, Mike…and we all know the answer. The North Koreans saw it coming and got him the hell out of there. The internet this morning has a scene of Warmbier being lifted bodily from a plane in Cincinnati. He wasn’t even sent from Korea in a stretcher-fitted ambulance plane? I saw that video. Disturbing. Hey Jim, stop golfing and write another article.